"This book has something for everyone"
In this second volume of The Danse triology, we find out that there’s more than one breed of creature that hunts in the night, pretending to be human during the day—and a war is brewing between the clans. Chicago Police Detective Tom Chapel finds himself standing between the mysterious Synod of Crows and a monstrous offshoot of the Russian mafia that’s come to town. Which side should he choose? Or will that choice be made for him? And just where is Pieter Durant? As one reviewer wrote of this second book, “The Danse is a series that I have trouble putting down to live my real life, and I am always hungry for more. 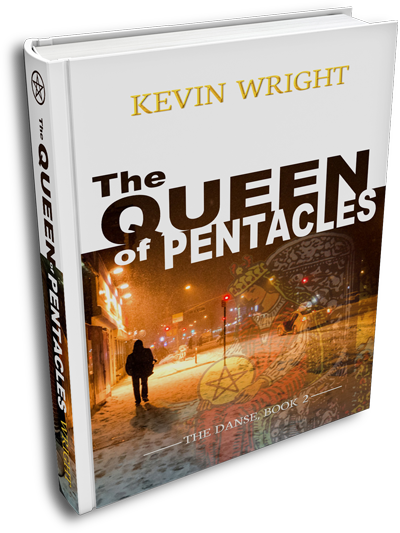 This book has something for everyone—fantasy, history, geeky humor, deep spiritual questions, horror, suspense…” The Queen of Pentacles is now available in both paperback and Kindle formats.